Alexander, R. McN., Jayes, A. S., Maloiy, G. M. O., and Wathura, E. M., 1979, Allometry of the limb bones of mammals from shrews (Sorex) to elephant (Loxodonta). J. Zool. Lond. 189: 305-314. Alexander, R. McN., and Maloiy, G. M. O., 1984, Stride lengths and stride frequencies of primates. J. Zool. Lond. 202: 577-582. Allman, J., 2000, Evolving Brains, New York, Scientific American Library. Bloch, J. L., and Boyer, D. M., 2002, Grasping primate origins, Science298: 1606-1610. Böker, H., 1926, Die Entstehung der Wirbeltiertypen und der Ursprung der Extremitäten, Zeitsch. Morphol. Anthropol. 26: 1-58. Böker, H., 1932, Beobachten und Untersuchungen an Säugetieren während einer biologisch-anatomischen Forschungsreise nach Brasilien im Jahre 1928, Geg. Morph. Jb. 70: 1-66. Carlson, H., Halbertsma, J., and Zomlefer, M., 1979, Control of the trunk during walking in the cat, Acta Physiol. Scand. 105: 251-253. Cartmill, M., 1970, The Orbits of Arboreal Mammals: A Reassessment of the Arboreal Theory of Primate Evolution, Ph.D. Dissertation, Chicago, University of Chicago. Cartmill, M., 1972, Arboreal adaptations and the origin of the order Primates, in: The Functional and Evolutionary Biology of Primates, R. H. Tuttle, ed., Aldine-Atheton, Chicago, pp. 3-35. Cartmill, M., 1974b, Pads and claws in arboreal locomotion, in: Primate Locomotion, F. A. Jenkins, Jr., ed., Academic Press, New York, pp. 45-83. Cartmill, M., 1975, Primate Origins, Burgess Publishing Co, Minneapolis. Cartmill, M., Lemelin, P., and Schmitt, D., 2002, Support polygons and symmetrical gaits in mammals, Zool. J. Linn. Soc. 136: 401-420. Charles-Dominique, P., 1983, Ecological and social adaptations in didelphid marsupials: Comparison with eutherians of similar ecology, in: Advances in the Study of Mammalian Behavior, J. F. Eisenberg and D. G. Kleiman, eds.,. Special Publication No. 7. Shippensburg, PA, American Society of Mammalogists, pp. 395-422. Demes, B., Jungers, W. L., and Nieschalk, U., 1990, Size- and speed-related aspects of quadrupedal walking in slender and slow lorises, in: Gravity, Posture, and Locomotion in Primates, F. K. Jouffroy, M. H. Stack, and C. Niemitz, eds., Firenze, Editrice Il Sedicesimo, pp. 175-197. Demes, B., Larson, S. G., Stern, J. T., Jr., Jungers, W. L., Biknevicius, A. R., and Schmitt, D., 1994, The kinetics of "hind limb" drive reconsidered, J. Hum. Evol. 26: 353-374. Dykyj, D., 1984, Locomotion of the slow loris in a designed substrate context, Am. J. Phys. Anthropol. 52: 577-586. Fleagle, J.G., 1999, Primate Adaptation and Evolution, 2nd edition, Academic Press, San Diego. Garber, P. A., 1992, Vertical clinging, small body size, and the evolution of feeding adaptations in the Callitrichinae, Am. J. Phys. Anthropol. 88: 469-482. Gatesy, S. M., and Biewener, A. A., 1991, Bipedal locomotion: Effects of speed, size and limb posture in birds and humans, J. Zool. London 224: 127-148. Goldfinch, A. J., and Molnar, R. E., 1978, Gait transition in the brush-tail possum (Trichosurus vulpecula), Austral. Mamm. 4: 59-60. Hamrick, M. W., 1998, Functional and adaptive significance of primate pads and claws: Evidence from New World anthropoids, Am. J. Phys. Anthropol. 106: 113-127. Henneberg, M., Lambert, K. M., De Miguel, C., and Haynes, J., 1998, Koalas and primates: What can we learn about primate origins and adaptations by observing koalas, Am. J. Phys. Anthropol. (Suppl.) 26: 92-93. Hildebrand, M., 1965, Symmetrical gaits of horses, Science 150: 701-708. Hildebrand, M., 1966, Analysis of the symmetrical gaits of tetrapods, Folia Biotheor. 6: 9-22. Hildebrand, M., 1967, Symmetrical gaits of primates, Am. J. Phys. Anthropol. 26: 119-130. Hildebrand, M., 1968, Symmetrical gaits of dogs in relation to body build, J. Morphol. 124: 353-360. Hildebrand, M., 1976, Analysis of tetrapod gaits: General considerations and symmetrical gaits, in: Neural Control ofLocomotion, R. M. Herman, S. Grillner, P. S. G. Stein, and D. C. Stuart, eds., Plenum Press, New York, pp. 203-236. Hildebrand, M., 1980, The adaptive significance of tetrapod gait selection, Amer. Zool. 20: 255-267. Hildebrand, M., 1985, Walking and running, in: Functional Vertebrate Morphology, M. Hildebrand, D. M. Bramble, K. F. Liem, and D. B. Wake, eds., Harvard University Press, Cambridge, MA, pp. 38-57. Jenkins, F. A., Jr., 1974, Tree shrew locomotion and the origins of p rimate arboreal-ism, in: Primate Locomotion, F. A. Jenkins, Jr., ed., Academic Press, New York, pp. 85-115. Jenkins, F. A., Jr., and Weijs, W. A., 1979, The functional anatomy of the shoulder in the Virginia opossum (Didelphis virginiana), J. Zool. (London) 188: 379-410. Jones, F. W., 1916, Arboreal Man, Edward Arnold, London. Jones, F. W., 1924, The Mammals of South Australia, Part 1, British Science Guild, Adelaide. Kimura, T., 1985, Bipedal and quadrupedal walking of primates: Comparative dynamics, in: Primate Morphophysiology, Locomotor Analyses and Human Bipedalism, S. Kondo, ed., University of Tokyo Press, Tokyo, pp. 81-104. Kimura, T., 1992, Hindlimb dominance during primate high-speed locomotion, Primates 33: 465-476. Kimura, T., Okada, M., and Ishida, H., 1979, Kinesiological characteristics of primate walking: Its significance in human walking, in: Environment, Behavior, and Morphology: Dynamic Interactions in Primates, M. E. Morbeck, H. Preuschoft, and N. Gomberg, eds., Gustav Fischer, New York, pp. 297-311. Kirk, E. C., Cartmill, M. Kay, R. F., and Lemelin, P., 2003, Comment on "Grasping primate Origins," Science 300: 741. Larson, S. G., 1998, Unique aspects of quadrupedal locomotion in nonhuman primates, in: Primate Locomotion: Recent Advances, E. Strasser, J. Fleagle, A. Rosenberger, and H. McHenry, eds., Plenum Press, New York, pp. 157-173. Larson, S. G., Schmitt, D., and Sipe, C., 1999, Forelimb and hind limb angular excursions in primates: Which is unique? Am. J. Phys. Anthropol. (Suppl. 28): 179. Larson, S. G., Schmitt, D., Lemelin, P., and Hamrick, M. K., 2001, Limb excursion during quadrupedalism: How do primates compare to other mammals? J. Zool. London 255: 353-365. Larson, S. G., and Stern, J. T., Jr., 1987, EMG of chimpanzee shoulder muscles during knuckle-walking: Problems of terrestrial locomotion in a suspensory adapted primate, J. Zool. London 212: 629-655. Lemelin, P., 1996, The Evolution of Manual Prehensility in Primates: A Comparative Study of Prosimians and Didelphid Marsupials, Ph.D. Thesis, State University of New York at Stony Brook, Stony Brook. Lemelin, P., 1999 Morphological correlates of substrate use in didelphid marsupials: Implications for primate origins, J. Zool. Lond. 247: 165-175. Lemelin, P., Schmitt, D., and Cartmill, M., 1999, Gait patterns and interlimb coordination in woolly opossums: How did ancestral primates move? Am. J. Phys. Anthropol. (Suppl. 28): 181-182. Lemelin, P., Schmitt, D., and Cartmill, M., 2002, The origins of diagonal-sequence walking gaits in primates: An experimental test involving two didelphid marsupials, Am. J. Phys. Anthropol. (Suppl. 34): 101. Lemelin, P., Schmitt, D., and Cartmill, M., 2003, Footfall patterns and interlimb coordination in opossums (Family Didelphidae): Evidence for the evolution of diagonal-sequence gaits in primates, J. Zool., Lond, 260:423-429. Martin, R. D., 1972, A preliminary field study of the lesser mouse lemur (Microcebus murinus J. F. Miller 1777), Z. Comp. Ethol. (Suppl. 9): 43-89. McClearn, D., 1992, Locomotion, posture, and feeding behavior of kinkajous, coatis, and raccoons, J. Mamm. 73: 245-261. Muybridge, E., 1887, Animals in Motion, 1957 reprint, Dover, New York. Nakano, Y., 1996, Footfall patterns in the early development of the quadrupedal walking of Japanese macaques, Folia Primatol. 66: 113-125. Napier, J., 1967, Evolutionary aspects of locomotion, Am. J. Phys. Anthropol. 27: 333-342. Napier, J., and Walker, A. C., 1967, Vertical clinging and leaping: A newly recognized locomotor category of primates, Folia Primatol. 6: 204-219. Pridmore, P. A., 1992, Trunk movements during locomotion in the marsupial Monodelphis domestica (Didelphidae), J. Morphol. 211: 137-146. Pridmore, P. A., 1994, Locomotion in Dromiciops australis (Marsupialia: Microbiotheriidae), Aust. J. Zool. 42: 679-699. Prost, J. H., 1965, The methodology of gait analysis and the gaits of monkeys, Am. J. Phys. Anthropol. 23: 215-240. Prost, J. H., 1969, A replication study on monkey gaits, Am. J. Phys. Anthropol. 30: 203-208. Prost, J. H., 1970, Gaits of monkeys and horses: A methodological critique, Am. J. Phys. Anthropol. 32: 121-127. Reynolds, T. R., 1985, Stress on the limbs of quadrupedal primates, Am. J. Phys. Anthropol. 67: 351-362. Reynolds, T. R., 1987, Stride length and its determinants in humans, early hominids, primates, and mammals, Am. J. Phys. Anthropol. 72: 101-115. Ritter, D., 1995, Epaxial muscle function during locomotion in a lizard (Varanus sal-vator) and the proposal of a key innovation in the vertebrate axial musculoskeletal system, J. Exp. Biol. 198: 2477-2490. Rollinson, J., and Martin, R D., 1981 Comparative aspects of primate locomotion, with special reference to arboreal cercopithecines, Symp. Zool.. Soc. Lond. 48: 377-427. Rosenberger, A. L., and Stafford, B. J., 1994, Locomotion in captive Leontopithecus and Callimico: A multimedia study, Am. J. Phys. Anthropol. 94: 379-394. Schmitt, D., 1999, Compliant walking in primates, J. Zool., London, 248: 149-160. 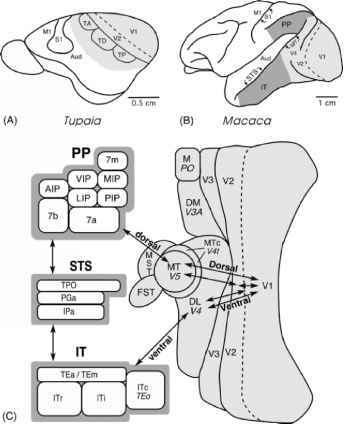 Schmitt, D., 2002, Gait mechanics in the common marmoset: Implications for the origin of primate locomotion, Am. J. Phys. Anthropol. (Suppl. 34): 137. Schmitt, D., 2003, Evolutionary implications of the unusual walking mechanics of the common marmoset (C. jacchus). Am. J. Phys. Anthropol. 122: 28-37. Schmitt, D., and Lemelin, P., 2002, Origins of primate locomotion: Gait mechanics of the woolly opossum, Am. J. Phys. Anthropol. 118: 231-238. Shapiro, L. J., Demes, B., and Cooper, J., 2001, Lateral bending of the lumbar spine during quadrupedalism in strepsirhines, J. Hum. Evol. 40: 231-259. Szalay, F. S., 1972, Paleobiology of the earliest primates, in: The Functional and Evolutionary Biology ofPrimates, R. H. Tuttle, ed., Aldine-Atheton, Chicago, pp. 3-35. Szalay, F. S., Rosenberger, A. L., and Dagosto, M., 1987, Diagnosis and differentiation of the order Primates, Yrbk. Phys. Anthropol. 30: 75-105. Szalay, F. S., and Sargis, E. J., 2001, Model-based analysis of postcranial osteology of marsupials from the Palaeocene of Itaborai (Brazil) and the phylogenetics and bio-geography of Metatheria, Geodiversitas 23: 139-302. Tomita, M., 1967, A study on the movement pattern of four limbs in walking, (1). Observation and discussion on the two types of the movement order of four limbs seen in mammals while walking, J. Anthropol. Soc. Nippon 75: 126-146. Vilensky, J. A., 1989, Primate quadrupedalism: How and why does it differ from that of typical quadrupeds? Brain, Behav. Evol. 34: 357-364. Vilensky, J. A., Gankiewicz, E., and Townsend, D. W., 1988, Effects of size on vervet (Cercopithecus aethiops) gait parameters: A cross-sectional approach, Am. J. phys. Anthropol. 76: 463-480. Vilensky, J. A., and Larson, S. L., 1989, Primate locomotion: Utilization and control of symmetrical gaits, Ann. Rev. Anthropol. 18: 17-35. Vilensky, J. A., and Moore, A. M., 1992, Utilization of lateral and diagonal sequence gaits at identical speeds by individual vervet monkeys, in: Topics in Primatology. Evolutionary Biology, S. Matano, R. H. Tuttle, H. Ishida, and M. Goodman, eds., vol. 3, pp. 129-138, University of Tokyo Press, Tokyo. Vilensky, J. A., Moore, A. M., and Libii, J. N., 1994, Squirrel monkey locomotion on an inclined treadmill: Implications for the evolution of gaits, J. Hum. Evol. 26: 375-386. Walker, A. C., 1967, Locomotor Adaptation in Recent and Fossil Madagascan Lemurs, Ph. D. Dissertation, University of London, London. White, T. D., 1990, Gait selection in the brush-tail possum (Trichosurus vulpecula), the northern quoll (Dasyurus hallucatus), and the Virginia opossum (Didelphis vir-giniana). J. Mamm. 71: 79-84. Yamazaki, N., 1976, Keisanki simulation niyoru seibutu no hokou no kenkyu (A Study of Animal Walking by Means of Simulation Methods), Ph. D. Dissertation, Gijuku University, Yokohama, Keio.